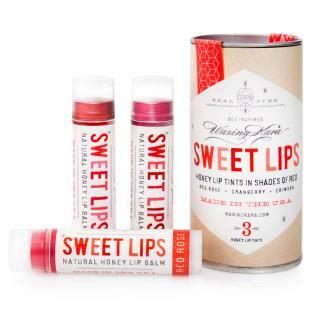 This Lip Set Gift Box beautifully packages six of our favorite lip balms together in a reusable wooden box. Our Honey Lip Balm is USDA certified organic and our Lip Tints are made with at least 92% organic ingredients. Perfect as a stocking stuffer or a thank-you present for a favorite friend or coworker. This is a limited edition holiday gift while supplies last.